A “mega-truce” proposal that would end Gaza’s isolation, restore Palestinian unity and expedite a long-stalled prisoner exchange between Israel and Hamas has been put on the table by Egypt. The ambitious proposal, according to the Tel Aviv daily Yediot Achronot, has been presented to the parties with a July 7 take-it-or-leave-it deadline. Israeli Defense Minister Ehud Barak arrived in Cairo yesterday for discussions with the Egyptian leadership. Drawn up by Egyptian intelligence chief Omar Suleiman, the proposal is the first comprehensive attempt to resolve the internal Palestinian entanglements while winning the release of Israeli soldier Gilad Shalit, whose capture by Hamas three years ago has exacerbated the continuing tensions. Under the reported proposal, the present Hamas government in Gaza would be replaced by a unity government with representatives of all major Palestinian organizations. This provisional body would rule until elections are held in January in both the West Bank, presently dominated by the moderate Fatah faction, and Gaza. All parties would have to agree beforehand to accept the results of that vote. - Both Israel and Hamas would soften their positions to enable the exchange of Shalit for roughly 1,000 Palestinian prisoners in Israeli hands. This, in turn, would open the way for Israel to lift a blockade of the Gaza Strip which has permitted entry of only humanitarian supplies. - The provisional administration in Gaza would be subordinate to Palestinian Autonomy President Mahmoud Abbas, even though Hamas has denied his legitimacy. The international community has pledged $5 billion for the restoration of damage inflicted on Gaza during Israel’s incursion in January, but it has said that it will only channel the money through Abbas, and not through Hamas, which is seen as having unlawfully seized control of Gaza through an armed putsch two years ago. 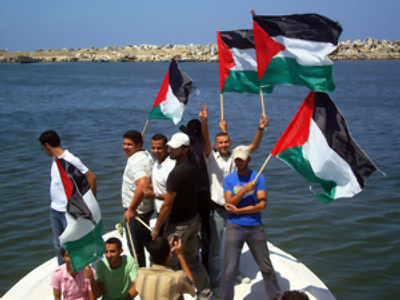 - International supervisors will ensure that concrete, iron and other materials arriving in Gaza is used only for reconstruction and other civilian purposes and will not be siphoned off by militant organizations for building bunkers or weaponry. This supervision will also apply to fertilizers and other chemicals which can be used for explosives. 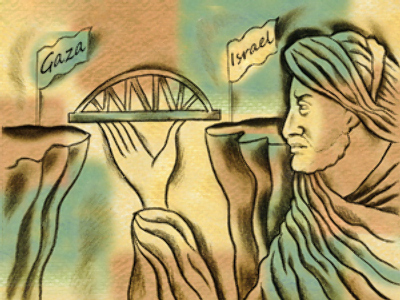 - Egypt will open its own crossing point to Gaza. The crossing would be monitored on the Palestinian side by Fatah, not Hamas, and Israel would observe the crossing point through cameras. If the parties accept the proposal, the primary beneficiary would be the 1.5 million residents of the Gaza Strip who have been living at a virtual subsistence level for more than two years. The promised massive infusion of foreign funds would not only restore the strip’s physical infrastructure, but revive a stagnant economy. 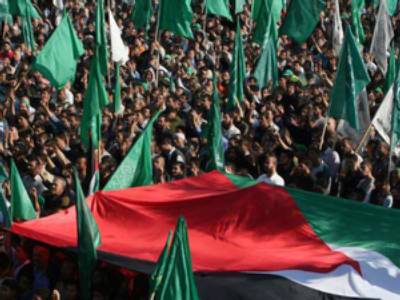 Although Hamas has succeeded in suppressing opposition in Gaza, Israeli analysts believe the organization’s leadership understands, due to the current unrest in Iran, that suppression has its limitations. While Hamas would have to waive its present rule in Gaza, the proposal offers it the opportunity to win control of all Palestinian territory, including the West Bank, in January’s election. Fatah would welcome the chance to resume at least a partial and temporary role in Gaza’s administration, but it has grave reservations about the looming elections and the possibility that Hamas could defeat it in the West Bank, as well. Under Abbas’ faltering leadership, Fatah has not yet executed reforms that would win it the respect of the Palestinian electorate. Israel, likewise, fears the prospect of a Hamas election victory since the Islamist organization remains dedicated to Israel’s destruction. It might, however, support the Egyptian initiative since it might hasten Shalit’s release and bring a period of stability, during which political attitudes within the Palestinian camp may shift. Armenia-Turkey: end of century-long loathing?